In the truck world, the name Ram has become synonymous with power, and for good reason. However, what usually doesn’t come to mind when we think of trucks is luxury. 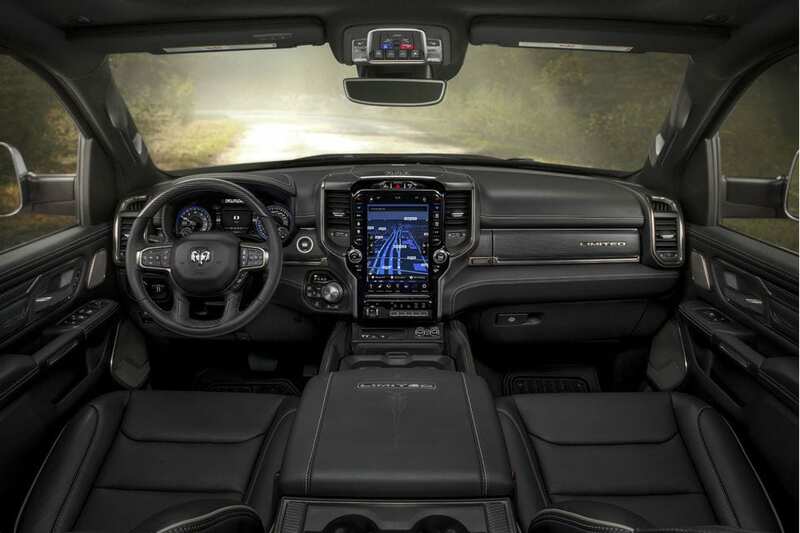 But all that’s about to change with the introduction of the ultra-luxurious all-new 2019 Ram 1500 Limited. Let’s take a look at a few of the features that puts the Ram 1500 Limited in a league of its own. The Limited comes equipped with air suspensions on par with those of luxury vehicles like the Mercedes. Combined with its smooth as butter 8 speed automatic transmission, the Limited delivers a luxuriously comfortable ride even while driving over dramatic Edmonton potholes. You can choose between 5 ride height options, and the truck even lowers automatically once you hit a certain speed for improved aerodynamics. The Ram 1500 Limited is equipped with some of the most advanced features on the market, providing subtle notes of finesse. Many features that are usually mechanic are electronic and automated on the Limited, like the rear window, tailgate and running board. Enjoy convenient features wireless cell phone charging, heated and ventilated seats (including rear seats) and one of the biggest touchscreen infotainment systems in the industry. Such a luxurious truck comes with a whole host of advanced safety features that add to your peace of mind while driving. The Ram 1500 Limited is equipped with front and rear parking sensors that you can turn on and off, blind spot warning including trailer detection, automatic electronic parking brake and speed limit warning. Drive like you mean it with the 2019 Ram 1500 Limited’s 5.7-liter Hemi V8 engine, producing 395 horsepower and 410 lbs-ft of torque. Its smooth and powerful acceleration reaches 100 kmh in just 6.4 seconds and the aggressively engineered powertrain pulls up to 13,000 pounds. After all, a luxury truck is still a truck, and the Ram 1500 Limited does bigger and better than the rest. If you’re looking for the perfect combination of pulling-power and plush luxury without compromising either aspect, you don’t want to miss the Limited models we have in stock. Our product specialists want to help, so don’t hesitate to contact us.